Creative Commons (CC) was founded in 2001 by Lawrence Lessig, Hal Abelson, and Eric Eldred with the support of Center for the Public Domain. With the proliferation of the internet, the organization felt there was a need to provide a licensing strategy for creative works that would be displayed in a digital environment. The concept was developed well before web domains like Pinterest, Tumbler, Instagram, Flickr, and other repositories for images even existed. 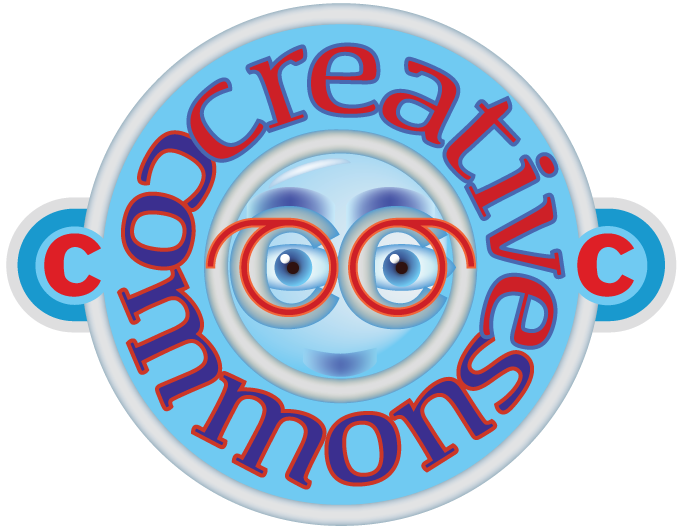 When I first heard of Creative Commons I was skeptical, and there are many skeptics out there still. In my case it had to do with my students not quite understanding how Creative Commons worked or what it had to offer. One student asked, “why pay to register anything with the Library of Congress when you can do it for free with Creative Commons?” The Library of Congress establishes absolute lawful ownership of creative content whereas Creative Commons does not establish copyright. Creative Commons licenses do not replace copyright, but are based upon it. Creative Commons operates on an honor system. It is assumed that a Creative Commons licensor has ownership of the copyright they are licensing. They state this very plainly in a number of places on the site. They even provide an “alert” link for prospective licensors at https://wiki.creativecommons.org/Before_Licensing. Although Creative Common licenses do come with conditions, too many to list here, with some that may be undesirable for a creator, there may still be advantages for applying a Creative Commons license to a work such as an illustration, but it is very important to carefully consider the licensing conditions. One such condition is that CC licenses are irrevocable. “Once you apply a CC license to your material, anyone who receives it may rely on that license for as long as the material is protected by copyright and similar rights, even if you later stop distributing it.” This means that if you allowed an image you created to be licensed Attribution-NoDerivs (CC BY-ND), that image would be available for use for free for as long as the copyright extends. This would likely prohibit resale of the image, or including it in a stock illustration inventory. Another involves the ShareAlike condition, whereby someone other than the original creator can remix, transform, or build upon their material with an attribution to the original creator, with the stipulation that they must distribute their derivative contribution under the same license as the original. This can mean that the derivative version will have to be licensed the same way, but with the derivative creator receiving attribution instead of the original creator. The Creative Commons licensing strategy consists of a tiered group of copyright-licenses called Creative Commons licenses. These licenses are offered free of charge to the public. The licenses allow creators (licensors) to classify image rights to clarify how other individuals or other creators (licensees) can use the images they own. CC licenses are meant to replace individual negotiations for specific rights between a copyright owner (licensor) and a licensee that are required under conventional copyright definitions such as "copyright all rights reserved" and "copyright some rights reserved" re-use cases where no commercial compensation is sought by the copyright owner. CC licenses clarify and streamline the licensing process. The six licenses are provided on a one-page explanation of rights that include associated visual symbols for easy identification and accessible at https://creativecommons.org/licenses/. The following language comes directly from the Creative Commons URL. In addition to the six licenses, creators can use Creative Commons to designate a no rights reserved “public domain” status for their creation. CC licenses can be obtained by following a few easy steps. 1. Choose your license features by answering two questions. Allow adaptations of your work, yes or no. And allow commercial uses of your work, yes or no. 2. Select a license. Based on your responses to the questions asked, a license will be suggested for choosing. 3. Provide attribution information. A metafile information form is provided allowing title of work, name to attribute the work to, URL for the work attribute, source URL for the work, more permissions, the format for the work, and a license mark format. 4. Insert Creative Commons license icon and metadata on your web page. This will enable you to share your CC license with others through CC-enabled content directories such as Google and Yahoo. These content platforms have already enabled CC licensing, making it easy for you to indicate the license along with other information, such as who to attribute. In addition, search engines like Google and Yahoo! will index your work as CC licensed if the metadata is properly attached.